The truck trailer is simply driven beneath for loading. 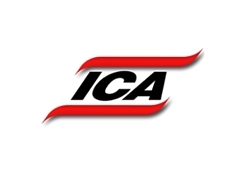 INDUSTRIAL Conveying Australia has released a container loading/unloading system for manufacturing and engineering companies that cannot justify the running costs of specially fitted forklifts, gantries and side-lifting transporters. Four units (one at each corner) combine to lift containers up to the size of common international 40-foot types with a maximum load weight of 30t. 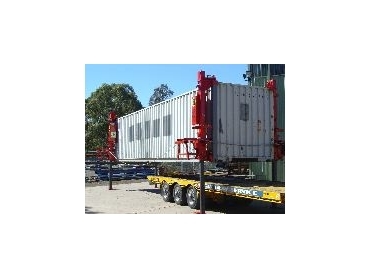 The hydraulic/electric items are also used to load and unload pallets and skids of all sizes and adhere to all necessary Australian standards and occupational health and safety requirements. In most circumstances they can load and unload containers to and from trailers more conveniently than forklifts, using special container-handling tynes. 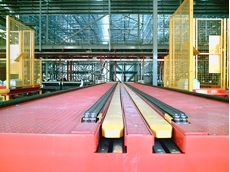 Jacks can be manufactured with wheels to suit companies operating totally without forklifts, or constructed with a foot so as to be positioned with standard forklift tynes. Because they are servo-controlled the jacks work in complete synchronisation during all handling. When the container is lifted to a sufficient height, the truck trailer is simply driven beneath for loading, or driven away so that the container can be placed on the ground after unloading. 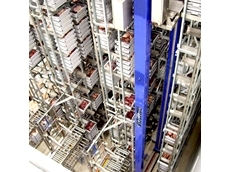 The system is suitable for handling any type of freight, including bulky or palletised stock and assorted small cartons. It can transport anything from heavy machinery and engines to loose carton goods, fragile goods and perishables. 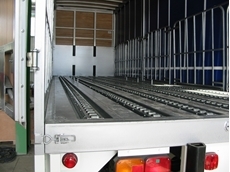 Companies usually hire side-lifting transporters to load and unload equipment, pallets and skids can use the system and an ordinary truck to move consignments. 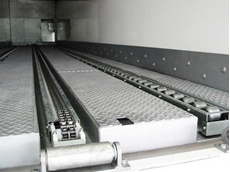 A tilt angle of 15º is achievable to work with skate wheel loading systems.